Hudson’s Bay Canada has two flash sales going on today that will straddle two very different categories, but will save you a fair chunk of change along the way. 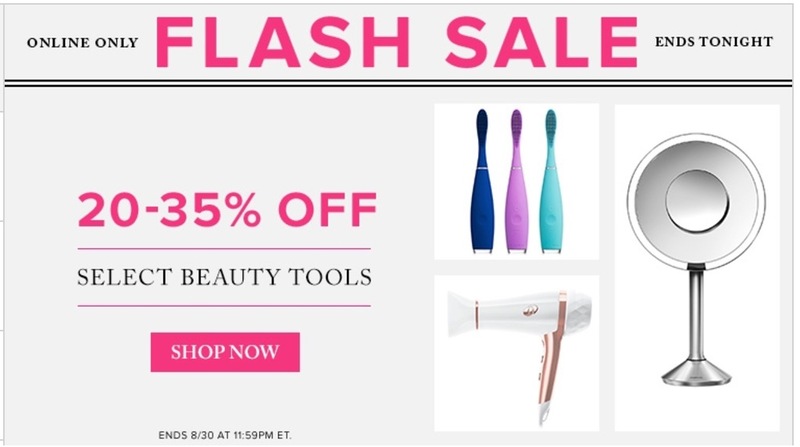 Save 20–35% Off Beauty Tools . Save 50% on Design Lab Lord & Taylor Push-Up & T-Shirt Bras, today for $16.99, was $34.50. Save an extra 30% off Women’s Clearance Intimate, Lingerie, Sleepwear & Hosiery, prices as marked. Hudson’s Bay sale is valid today only, Wednesday, August 30, 2017 until 11:59pm EST.